We hit a big milestone in our house this week with a first wiggly tooth. Naturally I knew this day was coming, so I had a cute little pillow sewn and waiting for the tooth fairy. 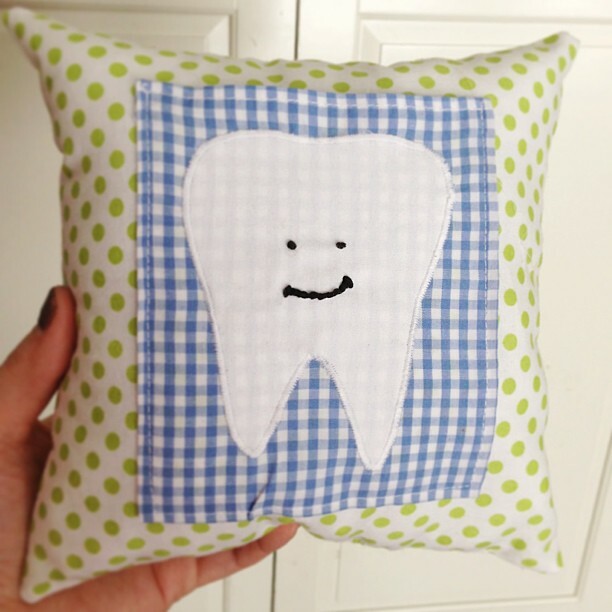 Martha makes a charming pillow to hold baby teeth awaiting pickup by the Tooth Fairy. Cheryl starts sewing a pillow with a slightly crooked tooth on it at 11:30 at night because her child will only eat applesauce in fear of said wiggly tooth falling out before we have the proper pillow. Anywho, I followed her basic pattern and got this done in about an hour last night. I made my pillow 9 x 9 and used her tooth template. 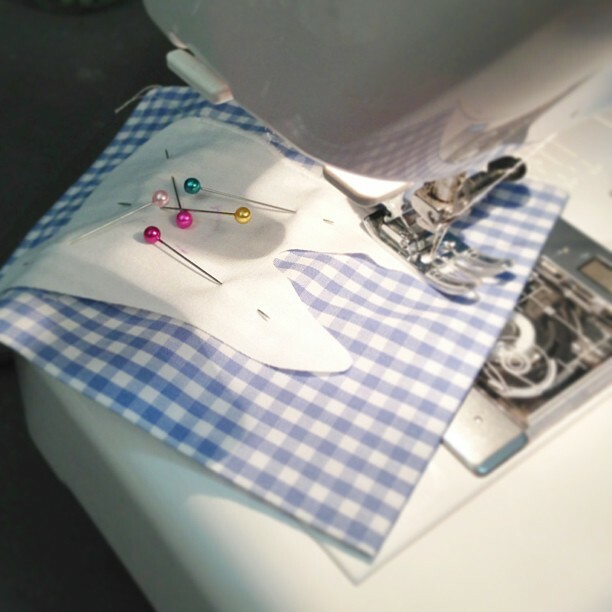 The only changes I made were appliqueing the tooth to a larger pocket, and I used a regular quilting cotton for the tooth. i love this! i used to have a tooth fairy pillow and lived it! my 6 yr old must be lising teeth soon, do i think i might copt this idea! My gramma Lucy made my brother and I each a tooth fairy pillow when we were little.